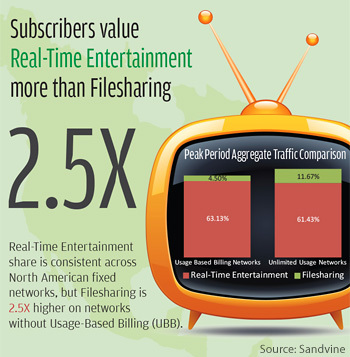 Video continues to be the trend to watch as devices and tablets cater to higher definition content with larger screen sizes enabling the market for longer form video on mobile, reports Sandvine in its latest Internet traffic trends report. "The 'home roaming' phenomenon, the concept of subscribers voluntarily offloading mobile traffic onto Wi-Fi networks, has continued. This combined with increased consumption of real-time entertainment on mobile networks globally, and the doubling of Netflix traffic on mobile networks in North America, suggests that users are getting comfortable with watching longer form videos on their handheld devices." Local Time: Thursday, April 18, 2019 09:42 AM PDT – Page Load: 0.2518 Sec.